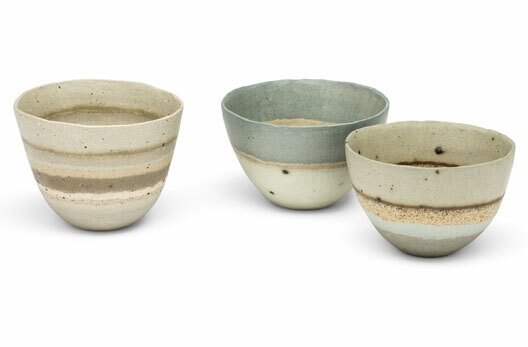 Cornwall with its dramatic land and seascapes inspire Charlotte Jones to make her ceramics, observing her surroundings so design decisions become intuitive. Colours are found in the changing skies and seas, fields and hedgerows. Patterns are abstracted from granite walls, field lines, surf, cliff and rock strata. Shells, pebbles and natural found objects are explored in detail by drawing and painting to inform the pots. Charlotte says her work is about what she’s sees, how she sees it and how she feels about it. 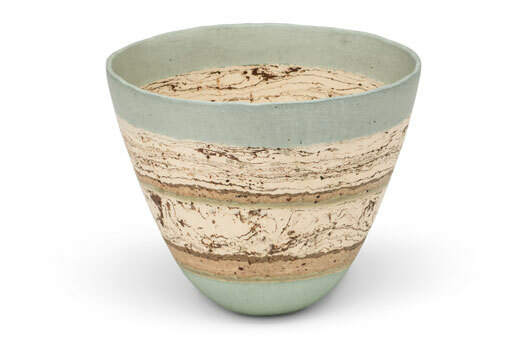 The physical process of digging clay and the excitement of how it will fire adds to the unpredictability of the pots, making each one unique. 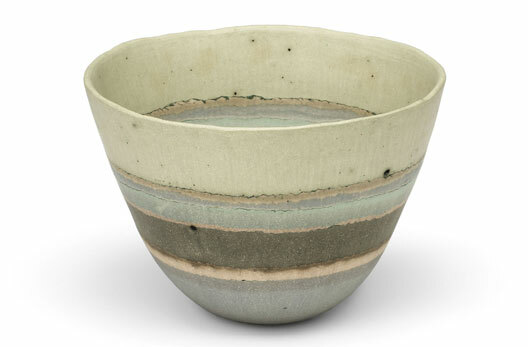 Her distinctive pots are made from coloured stoneware clay, using oxides and self dug clay. The coloured clays are used as a three-dimensional collage material: layers contrast and merge. 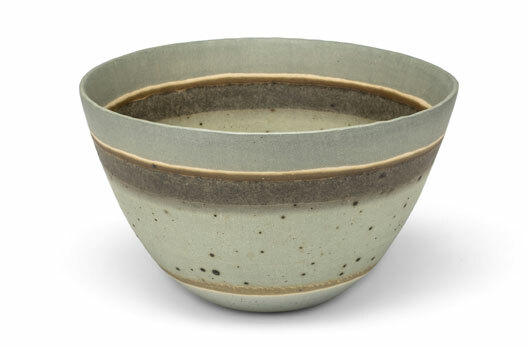 Pot bases are thrown, coils added, pinched and scraped into an organic vessel. 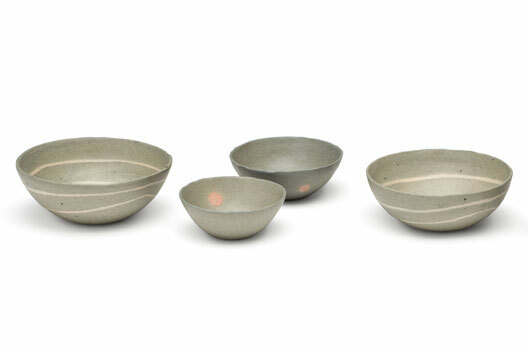 Burnished with a pebble when leather hard, the pots are through high firing returned to stone. Charlotte lives and works in a renovated chapel high above Falmouth bay with stunning views from Plymouth to the Lizard. Visitors are welcome but please ring first.